The final composer in this series is Allison Cameron, a multifaceted composer and instrumentalist whose work involves a constantly shifting role of composing, performing, improvising and collaborating. Cameron’s work is primarily shaped by two spheres of influence: the minimalistic tendencies of her Dutch mentors Louis Andriessen and Gilius van Bergeijk, and the subtly irreverent experimentations of composers like Frederic Rzewski and Canadian arch-innovators James Tenney and Rudolf Komorous. But grouping Cameron’s music with this older generation of composers is a simplification of the living, breathing sonic mutations that define her music. Works like “Mach Shorn” are part experimental chamber music, part weird analog-electro-folk, while pieces like “3rds, 4ths & 5ths”, with its constant cycling of gentle scalar patterns, are more clearly minimalistic in their construction and instrumentation. So, who really is Allison Cameron? 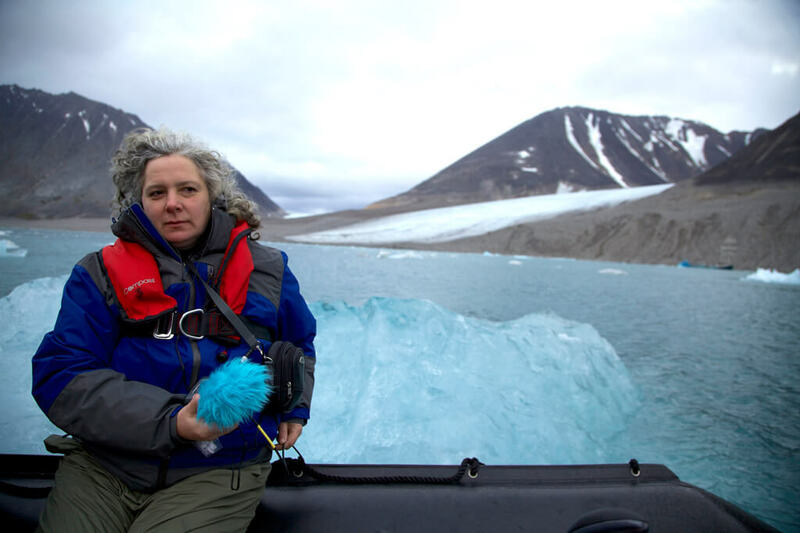 Based on her recent activity with Contact Contemporary Music at the Queer Arts Festival in Toronto this summer, to her recent excursion recording calving icebergs in northern Norway, it may be hard to pin down, but her answers below may provide some exposition into the work of our last Toronto composer. #1. How do you write your music? For better and worse, I have used the Finale music program to notate my music since I stopped handwriting my scores in the 1990s but mainly for notating scores. I use both handwritten sketches and the computer for writing. If something is more spontaneous, I find handwriting is still quicker/easier. If the score is more methodical than the computer is easier to use. But if the score is graphic I usually write it by hand. More recently, I have been transcribing selected recordings of my improvisations and transforming them into scores by hand. Most computer programs are extremely limited for contemporary music notation. #2 When do you write your music? I keep a notebook on me to jot down ideas for work. I also keep one by my bed. I make notes on whatever paper is handy. Inspiration can happen at any time, so it really helps to have something to write it down with. It’s important to keep these notes organized so current, and future projects can be referred to easily. More specifically when I am working towards a deadline, the writing is a job with regular daily hours. #3: In this age of plurality, composers are now pulling inspiration from many different places (pop music, world music, mathematics, visual art), not just the classical canon anymore. How valuable is the classical canon to you as a contemporary composer? 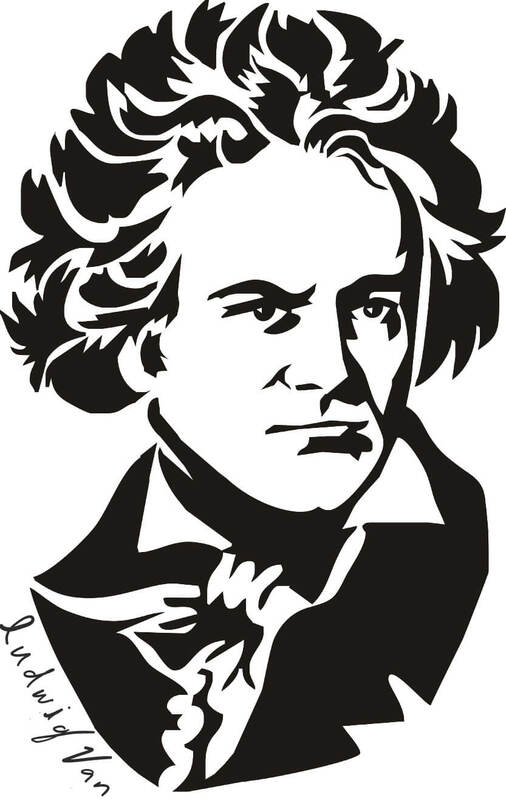 When I was a young student, the classical canon was important to me because I was studying 19th-century music and performance practice but once I started studying contemporary music at age 15 this changed. I also played in rock groups as a teenager, and this affected my performance style and introduced me to improvisation. In university, my listening repertoire was greatly expanded to include many forms of contemporary creative composition, avant-rock, jazz and world music with the main emphasis on repertoire in the twentieth century. But it also included early music, baroque music, First Nations music, Indonesian gamelan, Chinese, Japanese and Korean court music. Whether the classical canon (i.e. 18th and 19th-century repertoire) in general is still important is a good question. It has value for me as a listener and score reader. Today, it is more difficult for classical music establishments to assign qualitative value to works that are important from the contemporary repertoire. Now, as in the 20th-century, there is no cohesive contemporary music theory or a linear musicology. For example, many 21st-century musicians receive training from an early age in late 19th-century performance practice and theory. Yet, if you listen to the recent Glenn Gould Prize winner American composer Phillip Glass’ music and the work of the first GG Prize winner Pierre Boulez one hears vastly diverse contemporary music performance practices. The concept of a contemporary ‘canon’ of music is akin to a personal listening library (i.e. media collections on electronic devices) and can include many genres of music. But for contemporary performing groups or organizations it’s important to create ‘canons’ for our listeners of recent and current repertoire. It is especially important to perform and commission women composers (of any background) as they have been historically under-represented. When I was artistic director of Arraymusic, I commissioned many composers and added to the organization’s ‘canon’ of works. The Arraymusic library of scores is a wonderful collection and resource of Canadian and international contemporary works from the 1970s on. It is available for perusal at the Array Space. For more in our ongoing FIVE MINUTES series, see here. Tyler is a Toronto based writer, composer, and Doctoral student at the University of Toronto Faculty of Music. 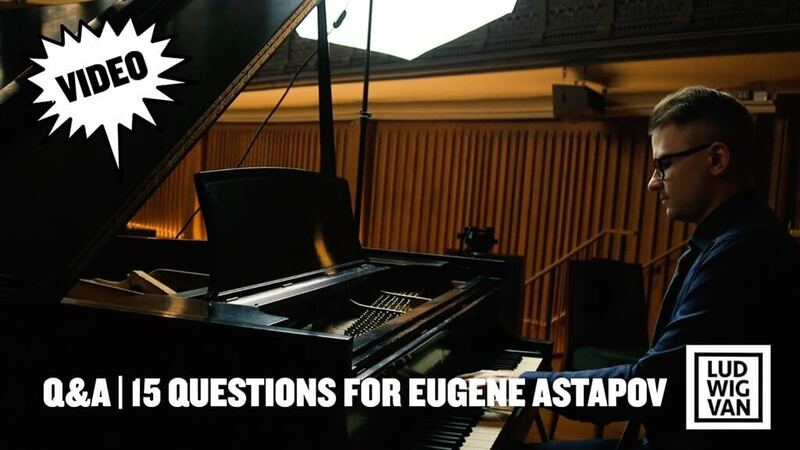 Canadian composer Eugene Astapov chats with Ludwig Van about his upcoming work with Esprit Orchestra, and the things that make him tick. 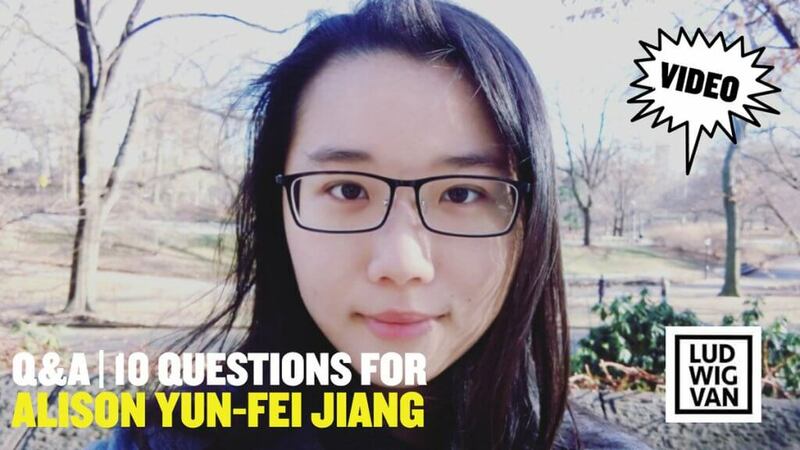 Ludwig Van gets to know composer Alison Yun-Fei Jiang, and her thoughts on the trials and tribulations of being a composer. 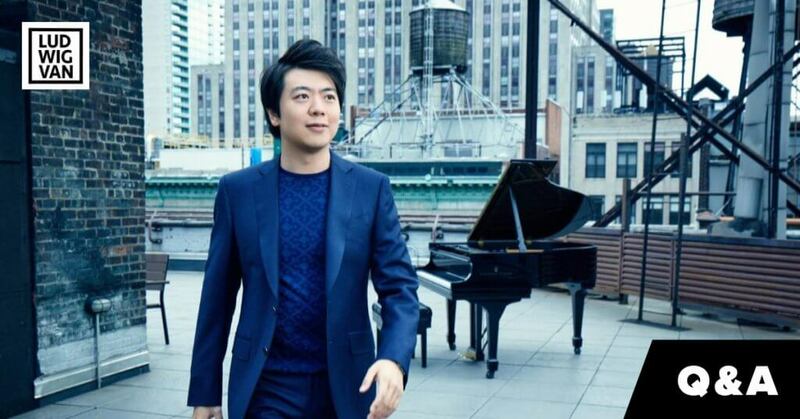 Renowned pianist Lang Lang answers 15 questions, including his role models, favourite concert halls, and his motto.